Every parent wants the best for his or her child and that’s a truism no one will dispute. Choosing a school is perhaps one of the most crucial — and confusing — decisions. But with little objective information to go by about the quality of teaching and infrastructure, it’s a hard decision to make. I’m sharing the results of a recent ToI survey where they found the 10 best schools in Chennai. Founded in 1986 by Kumararani Meena Muthiah of Chettinad, it focuses on a mix of academics, arts and culture. Known for its education-friendly ambience with spacious corridors, a vast playground, and educational field trips. Run by the Franciscan Missionaries of Mary, the 79-year-old school has students from various backgrounds. CEO of Pepsico Indra Nooyi is an alumnus of the school. 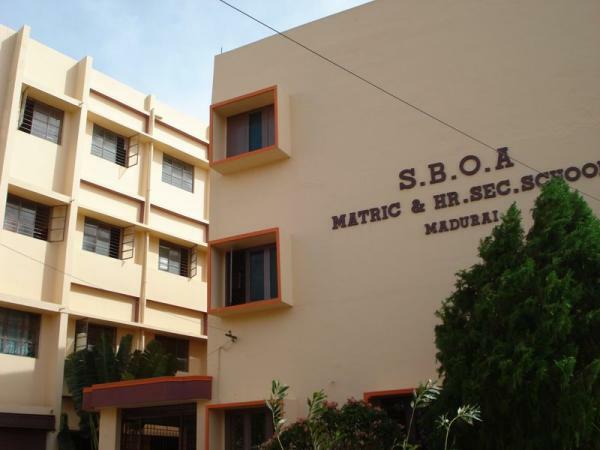 Started in 1983 by SBI Officers’ Association Educational Trust (SBIOA), the school’s highlight is its academic training that makes it stand out as the best in the western part of the city. The school under Kendriya Vidyalaya Sangathan was set up in 1964 with the help of the IIT management. Academic infrastructure such as the labs supported by IIT are the distinct features of the school. Established in 1983 by Maharishi Mahesh Yogi, the school is sought after for the exclusive training it provides for IIT aspirants. Yoga and meditation are an integral part of the curriculum. Founded by Mrs E S Appasamy in the 1920s, it was called ‘Shantiniketan of South India’ by Rabindranath Tagore who visited the school in 1934. It is known for intense academic training and results. Set up by Nungambakkam Ladies Recreation Club in 1958, the school is popular for promoting extracurricular activities—debating to fine arts—while maintaining a high standard in academics. Set up just a year after the KV on the IIT campus by Kendriya Vidyalaya Sangathan in 1965, the school gets praise for its steady maintainence of records in both curricular and co-curricular activities. It’s known for its consistency. Cooperation between teachers and good teamwork show up in the consistent and high academic results of the students. Students are often state toppers. Focus is on preparing children to excel in academics, and also on honing individual talents. Many students go on to bag seats in premier institutions like the IITs and NITs. Importance is also given to promoting extra-curricular activities. It follows a Cambridge English Curriculum with coaching in martial arts, skating, archery and other activities. It has an intensive programme for senior secondary students to prepare them for admission to professional courses. Set up in 2003 by Velammal Educational Trust, the school pays individual attention to children and excels in academic and sports training. It is known for its infrastructure and insists on discipline, valued highly by parents. The residential school established in 2007 is reputed for its special training for IIT and NEET from the early classes. RMK International is known for its lush 46-acre campus and good infrastructure and other facilities. Another venture of the Velammal Educational Trust, it was set up in 2004 and encourages students to go beyond academics. It is known for its well organised educational field trips. It was set up by Kupidisaatham Nararyanaswamy Educational Trust in 2009. It is known for its infrastructure, the school has Art of Excellence to train students in the performing and visual arts. Set up in 2004 by the Chettinad Group, it is known for its partnerships with schools in the UK. It encourages children to learn dance and music by organizing festivals under Dhanur Vaibhav.